Care Optical are professional optical prodcuts manufacturer ,focusing on producing high quality surgical loupes dental loupes and LED headlight ，high quaity polarized CR-39 lens and polarized mineral lens, magnifier and other optical products. 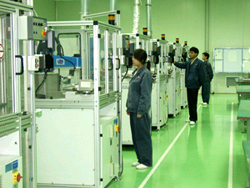 CARE OPTICAL INDUSTRIAL CO., was established in 2002,mainly engaged in optical products. and we are focusing on producing superb high quality dental loueps surgical loupes and LED headlight,various kinds of magnifier,optical lens,sunglasses lens,polarized lens,laser safety goggles, etc. Advanced production lines,efficiency administration and strictly quality control system make our products high quality with reasonable price. 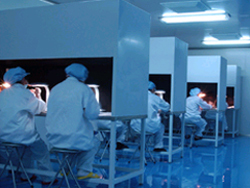 We are one of the leading professional optical products manufacturers in China. in the past years, we produced high quality optical products exporting to many countries including Europe , North America ,Latin America and etc. and all the products passed through F.D.A & C.E. standard. and in recently years, we are focusing on producing medical optical products and releated products(dental loupes surgical loupes and LED headlight) and super quality sunglasses lens (polarzied lens) and various kind of magnifier and 3D video etc. As the principle of " quality first, customer first". 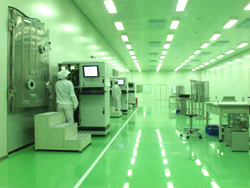 We not only supply high quality optical products but also we supply the best service to our customer. We view every customer as a customer for life and instill this philosophy in our employees to assure the complete satisfaction of every buyer. We continually evolve to satisfy the insatiable appetites of doctors lovers everywhere and work around the clock to update our site with the hottest products, useful new features and reliable content. And, with delivery center locations in Hong Kong and Shenzhen China, Care Optical will ship products to you fast. In fact, 98% of our orders ship within 36 hours. Offer our customers the manufacturer price.